Issue: Creating a Web Application from Central Admin sometimes continues to run forever and getting error message: "Please contact your System Administrator". Resolution : Here are detailed steps to fix it. 2. Select correct Application Pool of Central Administration Site from “Application Pools”. 3. 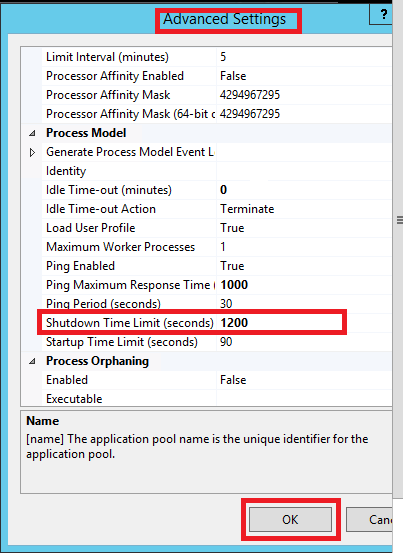 Right click and select Advanced Settings... and, look for “Shutdown Time Limits(seconds)". Finally, you should be able to create Web Application successfully without any issue.